Tasting barrel samples comes down to intuition and experience. 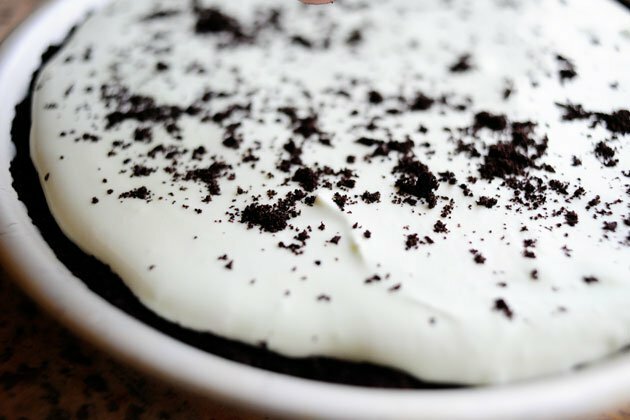 How is the texture on the palate? Grainy or silky? Coarse or so polished that it seems to lack character? 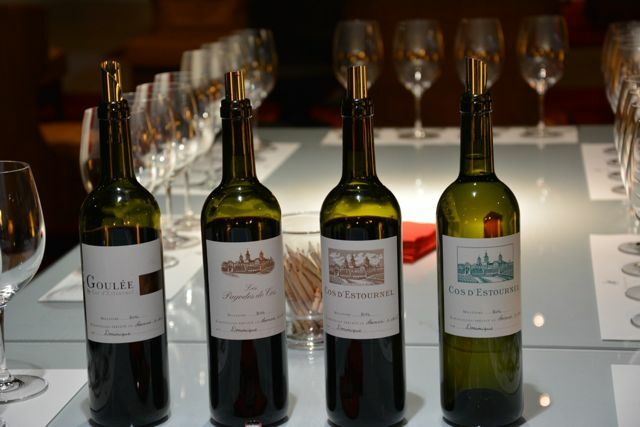 Tasters who travel from around the world to Bordeaux each year have grown accustomed to tasting barrel samples. And they understand that a barrel sample is like a prenatal wine. Consider the fact that much Bordeaux is only bottled after it ages for over one year in barrels. When the en primeur tastings occur, the wine has not yet finished its required aging in oak before bottling. And bottling means birth. That’s when a wine is actually born as a final product. Once in bottle, that’s it. Smart buyers of quality Bordeaux understand that their bottles need to age longer in their cellars for the wine to improve. Furthermore, as Château Phélan Segur manager Fabrice Bacquey explained over lunch: aromas from barrel samples are mainly primary, so tasters are not looking for bouquets. Aromatic complexity comes in later stages in the wine’s life. Tasting barrel samples, and asking how the wine will be in, say, 15 years, is almost like asking someone to pull out a crystal ball. Yet, barrel samples deliver valuable clues. Ripe tannin is essential – and that means ripe fruit. So Bordeaux barrel samples will give off primary aromas that can indicate levels of ripeness in grapes when they were picked. 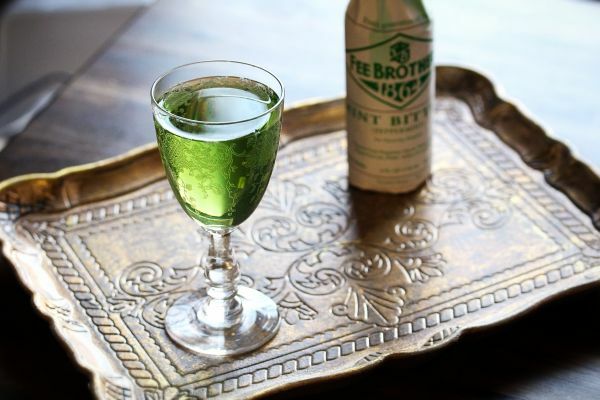 Tasters seek notes that can vary from green as a grasshopper to over-ripe baked prunes. Obviously the better aromas are in between – and what tasters appreciate are fresh and ripe and clean fruit aromas that can develop later in the wine’s life into a complex bouquet. Contrary to what some people may think, barrel aging is not meant only to lend oak flavors to wine. No, barrels are first and foremost used as an effective form of slow oxidation. Why slowly oxidize the wines? Tannin! 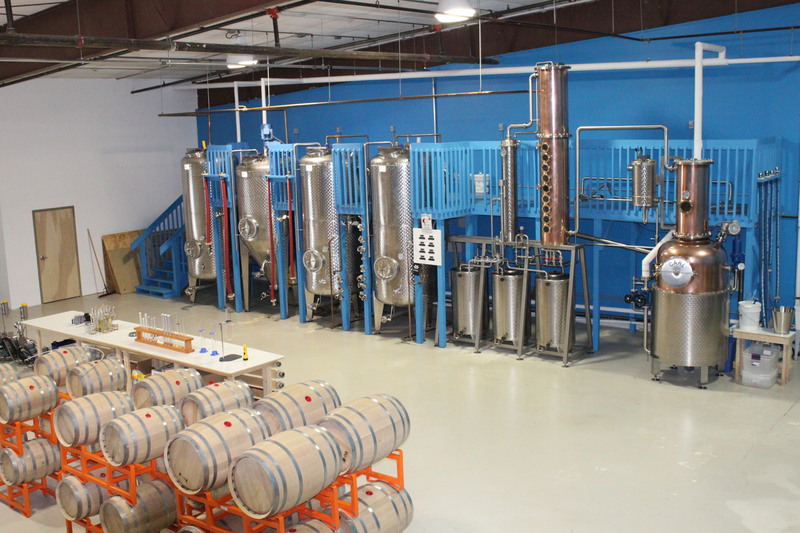 It can taste dry and astringent in barrel samples. So the slow, gentle oxidation of wine during the barrel aging decreases astringency and adds suppleness. It also enhances and stabilizes red wine color. And no serious taster who assesses up to 75 wines in a day (I think 100 is far too much) forgets to bring lip balm. The tannins also can dry out one’s lips! And if you catch anyone going to a tasting with a white shirt, you can tell that that person is a neophyte. 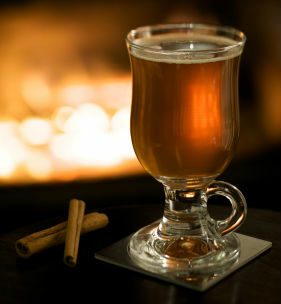 Acidity is yet another essential factor in wine, as it can add notions of freshness and vivacity in the right amount. If too little, the barrel sample will taste flat and lifeless. If too high, it will accentuate the astringency of the tannin and make your mouth pucker – not a particularly pleasant sensation. The high levels of acidity in both reds and whites in 2014 were felt. As Olivier Bernard of Domaine de Chevalier explained: “You needed to ensure very ripe fruit in 2014, so that it could balance the high tannin and high acidity of the vintage.” Thankfully, many of the barrel samples assessed in the 2014 vintage proved both balanced and delicious. Sauvignon Blanc, one of the two white grapes used to make white Bordeaux, can taste simple when not optimally ripe – and the high acidity of 2014 can accentuate that simple “varietal character.” Some of the less successful white barrels samples tasted slightly under-ripe because producers may have brought in the grapes a bit too early. So when tasting white wines, one looks at the balance between acidities and ripeness. Of course, for those wines that are barrel aged (not all white wines are), tasters assess the influence of the barrel on taste as they do for red wines. Indeed, the potential flavor influence of oak is essential, primarily for red barrel samples, as aging in oak integrates aromatic compounds from the oak with the wine’s intrinsic aromas. These compounds can positively contribute to a wine’s richness and flavor complexity. Or not. So tasting from barrel also means looking out for the flavor influences of oak aging. 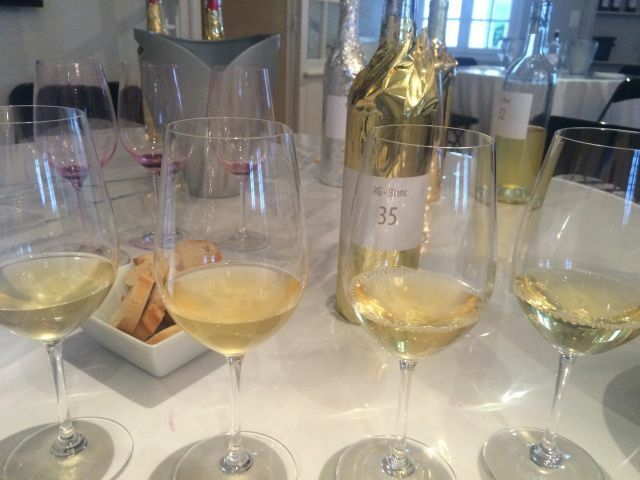 Late harvest Sauternes and Barsac wines can be the most difficult to taste from barrel, as tasters often focus too much on sweetness. What is important is to assess all aspects of these barrel samples: how high is the acidity and how well does it balance the sweetness of the vintage? It is important also to be flexible in judging barrel samples. Sometimes the blend is not final – what the estates have you taste is an approximation of what that final blend will be. In any case, it is meant to be a representative sample of what will be bottled. No one has a crystal ball. Fine Bordeaux can be a mysterious and magical drink. It can evolve in bottle for years and tasting scores of barrel samples per day in Bordeaux in a single week or even two weeks never is an infallible measure of how your wine will age in bottle. For these reasons, tasters often offer approximate ranges rather than single scores when grading barrel samples. Finally, we are entering an era where no single critic dominates wine appreciation. You should be your best critic, by buying and trying the wines yourself. In conclusions to my blog for Total Wine, I include comments from fellow wine writers from around the world who regularly attend the Bordeaux en primeur campaigns to bring international perspective to the 2014 vintage. One finds over time that opinions vary. I tend to appreciate wines with vivacity, which combines ripe fruit with cool and fresh aromatics, giving the impression of more life to a wine. In that sense, I really like 2014 in many cases. Others prefer higher levels of richness, higher alcohol and more oak like notes. It is a question of taste above all. We’re Opening in Cedar Park, Texas! 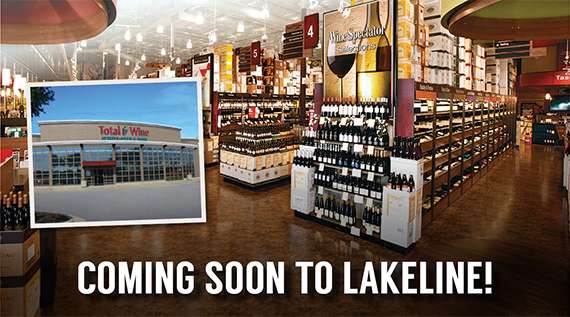 Total Wine & More is overjoyed to open our very first store in Lakeline! The new store is located in the Lakeline Plaza at 11066 Pecan Park Blvd Ste 117 in Cedar Park, Texas — join us for our weekend of Grand Opening festivities starting Thursday, September 17 at 4 p.m. Click here to see more about our newest store and all of the Grand Opening activities. This store marks our second location in the greater Austin area, and we’re thrilled to give our customers in north Austin a location that is closer to home to frequent. We can’t wait to get involved and start giving back to the Cedar Park community, and already have two wonderful local partners to support during our Grand Opening celebration. 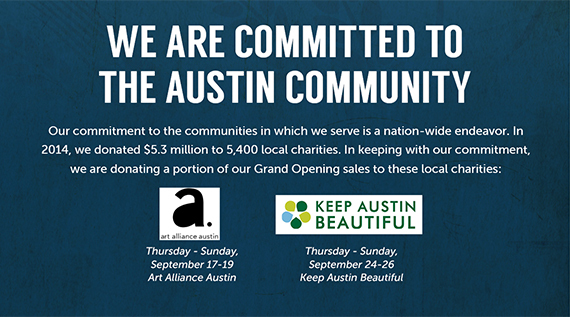 Stop by the store September 17-19 for Grand Opening events and join us in supporting the Art Alliance Austin. Total Wine & More will donate a portion of our Grand Opening weekend sales during this time to benefit this local charity partner. Then make sure to come back and join us September 24-26 for another weekend of Grand Opening events and to support Keep Austin Beautiful. We would love to see everyone stop in and join us for our Grand Opening tastings and events, which start at 4 p.m. on September 17. We have a tasting for everyone this day, so stop by! Wine tastings will include Caymus, Chateau Ste. Michelle, The Calling, and Joseph Carr. For the craft beer lovers, we’ll have Hops & Grain Brewery pouring some hoppy samples. Let’s not forget to mention the spirit tastings with Makers Mark and Clyde Mays Whiskey, and spirit tastings and engravings featuring Gentleman Jack, Jack Daniels Single Barrel and Woodford Reserve. Plus live music, giveaways and more. You can learn all about our upcoming events and tastings by checking out our events page here. Oh! Did we mention 50 Cent is going to be joining us for an Effen Vodka bottle signing from 4:30-6:30 PM? Make sure to stop by and grab a signed bottle and photo with him! Click here for details. Make sure to “Like” us on Facebook to stay up-to-date on all the upcoming events and latest product arrivals at our first store in Missouri. Already planning on joining us for our Grand Opening events? Share your experience on social media with the hashtag #totalwineGO. Our social team will be sharing the very best experiences and photos on our social accounts. 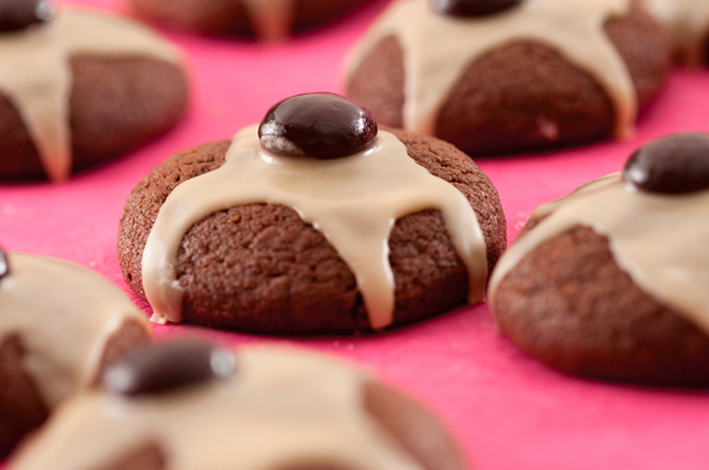 Basically, a giant Andes candy – but better, because it’s in brownie form! 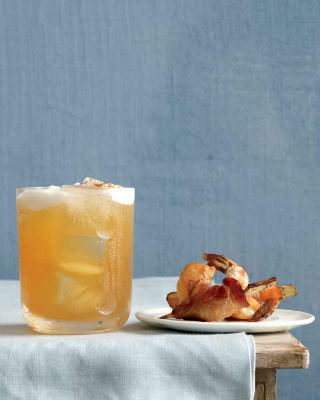 Because who says tequila has to be limited to margaritas? 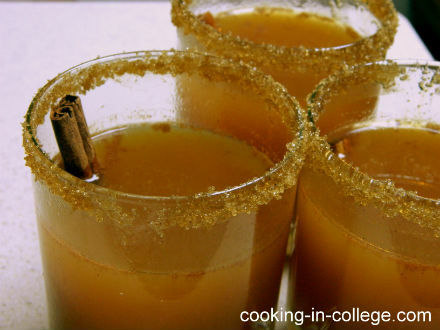 Definitely pretty enough to serve at a dinner party! 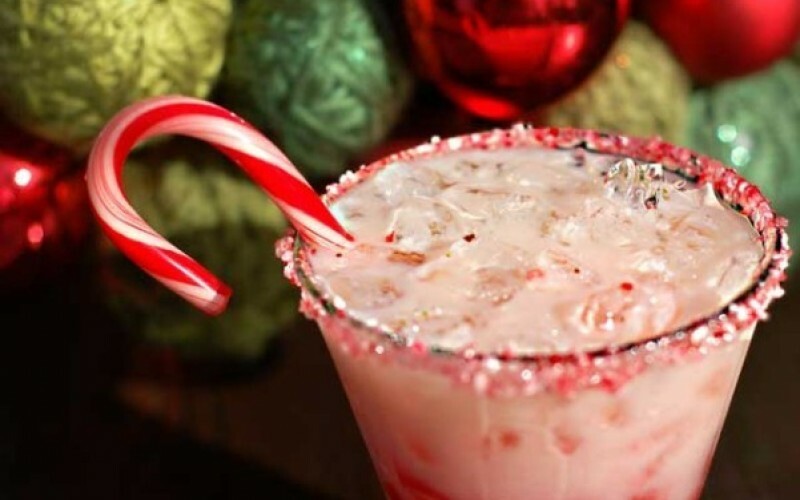 It’s not Christmas yet – but after a long Saturday afternoon at a crowded holiday mall, you’ll be glad you saved this recipe. 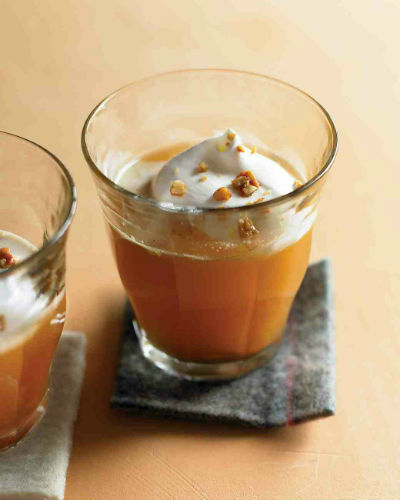 Perfect for Halloween – but they’re for grown-up trick-or-treaters only! 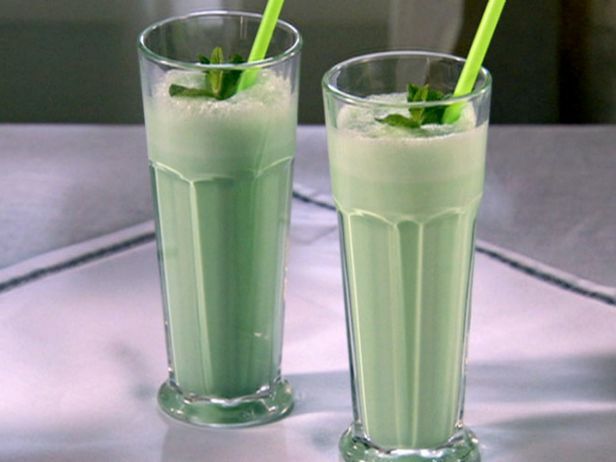 Believe it or not, these cocktails don’t have to be green – use clear créme de menthe if you don’t care for the color. 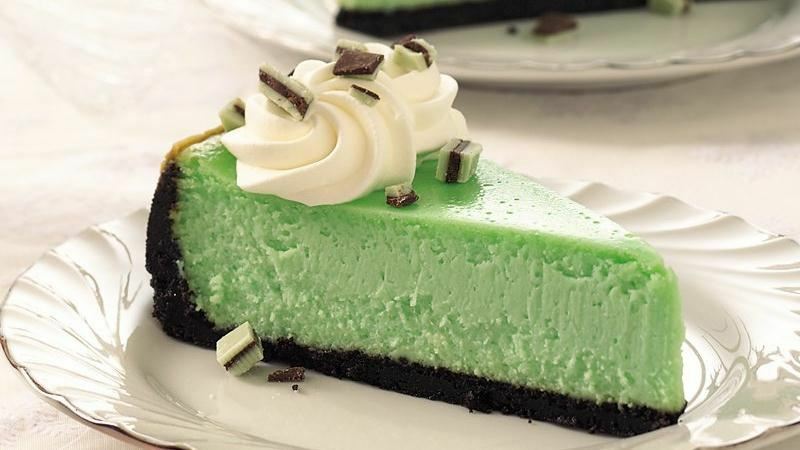 What better complement to cool créme de menthe than creamy cheesecake? 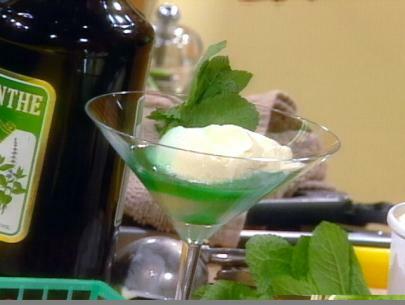 St. Patrick’s Day isn’t the only time to enjoy this amazing cocktail! One adult milkshake, coming up! 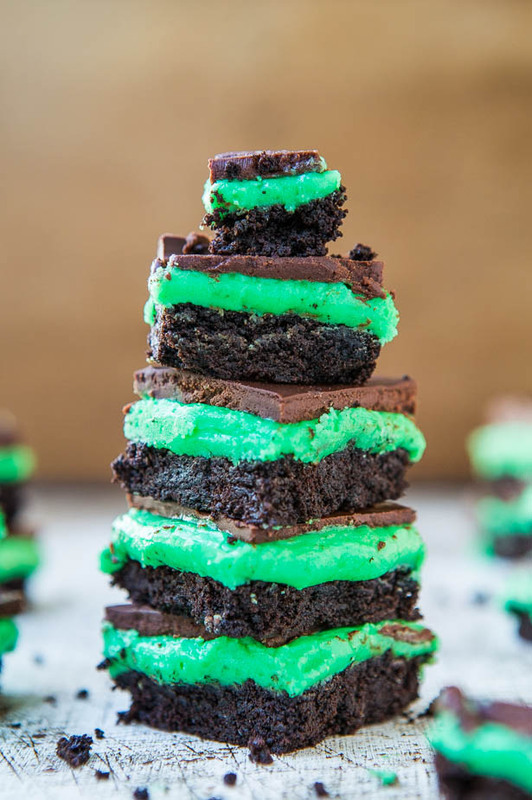 Nothing goes better with créme de menthe than marshmallows and an Oreo crust! 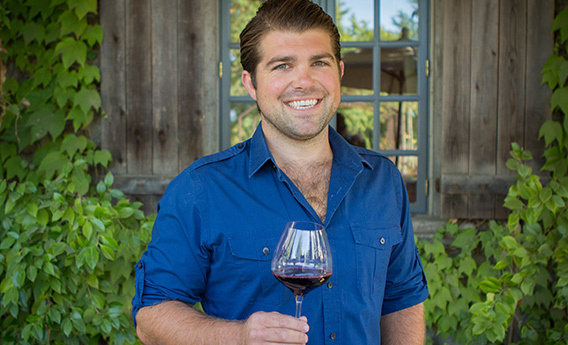 Join Joseph Wagner, fifth-generation winemaker and son of Caymus Vineyard founder Chuck Wagner, as he guides you through a collection of wines that offer a touch of luxury for everyday indulgence. The tasting will feature three wines from Joe’s new Copper Cane Wines & Provisions, his award-winning single-vineyard Belle Glos Pinot Noir and other exciting bottlings from California and Oregon. Use #TWTasting on Facebook, Instagram and Twitter to submit your questions for Joe during the event, and they just might get answered live! Need a ticket to the Copper Cane livestream? Grab a seat at the select locations below. at en primeurs week (or “wine futures” week) to help bring our readers to latest information on the 2014 vintage from Bordeaux, Burgundy, the Rhône Valley and Port. In the weeks to come, we’ll relay his thoughts, tasting reviews and recommendations from his time in Bordeaux here on our blog. When I arrived in Bordeaux on Saturday March 28, excitement was in the air. Reports about the harvest were positive. Initial reports indicated that the Union des Grands Crus de Bordeaux (UGCB) registered the highest number of merchant visits to taste 2014 from barrel since at least the 2010 tasting. The UGCB is a useful gauge of interest for a given vintage. It makes up over 100 top Bordeaux estates including famous brands like Lynch Bages and Rauzan Segla, Figeac and Haut Bailly. It tours the United States each year – including a tasting of the 2012 vintage, co-organized by Total Wine in Florida this past January. It also organizes meticulous tastings for the some 100+ wine writers who travel to Bordeaux each year from around the world. I always choose to be put in a group that tastes the wines “blind” – meaning that each day we may focus on a known appellation, such as Pauillac, but we do not know which wines from Pauillac we are tasting. It is also a great way to compare notes with fellow wine hacks from around the world, from China and Russia to the UK and Denmark. I then taste as many of those wines as possible again at trade tastings, where I can confirm (or not) previous notes taken. Like other wine writers in the hectic week that is en primeur, I visit chateaux that are not members of the UGCB, including the five legendary first growths, many great wines from Pomerol including Petrus and super seconds such as Ducru Beaucaillou, Léoville Las Cases, Cos d’Estournel and Montrose. 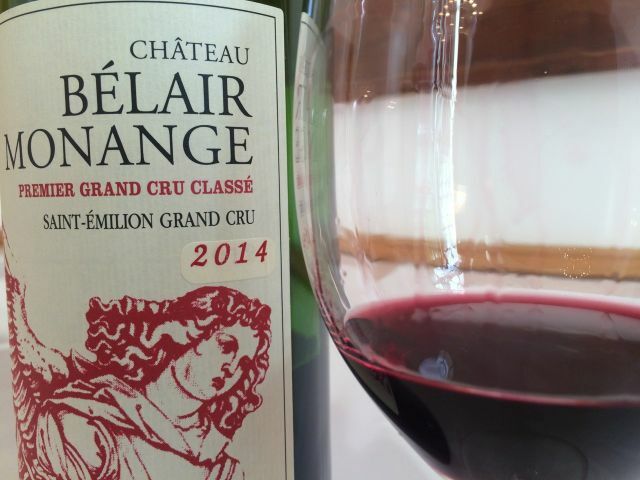 We took part in countless other tastings, including the massive grouping of estates that make up the Grand Cercle – about 200 chateaux that include less well-known appellations from Fronsac and Blaye to Listrac and Moulis. It proved a long week. But packed with fun, too. Culinary highlights included freshly shucked oysters at the first tasting, hosted by Bordeaux négociant Ulysses Cazabonne. Once done tasting the wide range of wines they proposed, oysters and crispy dry whites were just what the wine doctor ordered. We both saw grapes being brought in during the harvest last autumn, and we appreciated how the fine late summer brought grapes to maturity. 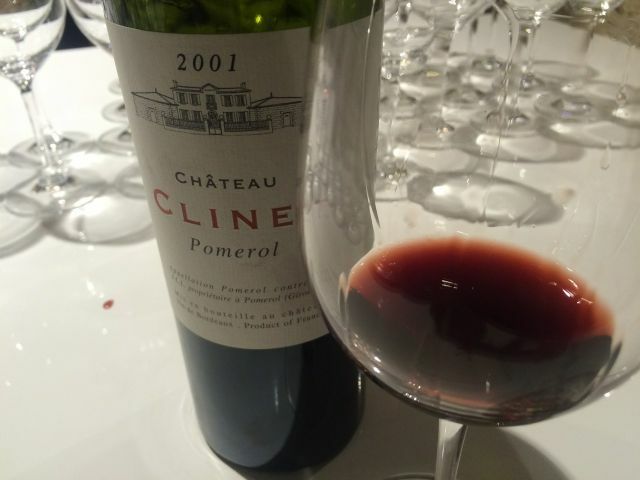 And yet: “As a journalist, you take such claims with a grain of salt, as Bordeaux chateaux always seek to hype a vintage – and how often have we heard that a late season saved the vintage,” Lechmere said. But 2014’s September proved truly unique. It brought 265 hours of sunshine: 31% higher than the average over the last 30 years. There were only two days of light rain (5.6mm on 8 September and 11mm on 17 September, for example in Saint Julien), with maximum temperatures during the first three weeks well above the monthly average at 79.16 to 88.7˚F. Old timers may recall that Bordeaux’s 1975 vintage was met with much fanfare, too, particularly as it came after three challenging years in 1972-1973-1974. Similarly, 2014 follows 2011-2012-2013, so it was no surprise to see so much interest in 2014 just because of that fact. 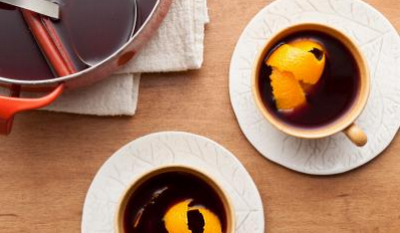 The problem with 1975 was a very high tannic component that resulted in very hard wines. Even today, may 1975s are tannic beasts that have lost their fruit. By the same token, 2014’s high acidity can accentuate the sensation of tannin, which was also high in the vintage. So the vintage is not uniformly successful, as some barrel samples seemed hard and tart on the finish, with somewhat indifferent palates. On the other hand, the 1975 comparison is simplistic on most other levels. First because 2014 is far better than 1975, which represents a bygone winemaking era of higher yields and few if any second wines. Second, as we shall see in the tasting section, many successful barrel samples combine charm, elegance, structure and freshness – and across all price points. So Total Wine buyers will be able to find gems indeed. And yet, as we shall see, the vintage features success stories across the region – including Merlot-dominated wines. 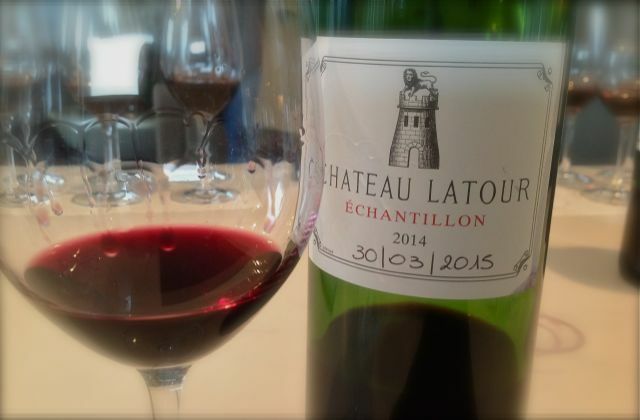 In fact some of the best wines of 2014 come from Pomerol and Saint Émilion, even though Saint Émilion in particular proved patchier as an appellation than any of the Cabernet-dominated appellations in the Médoc and in Graves. 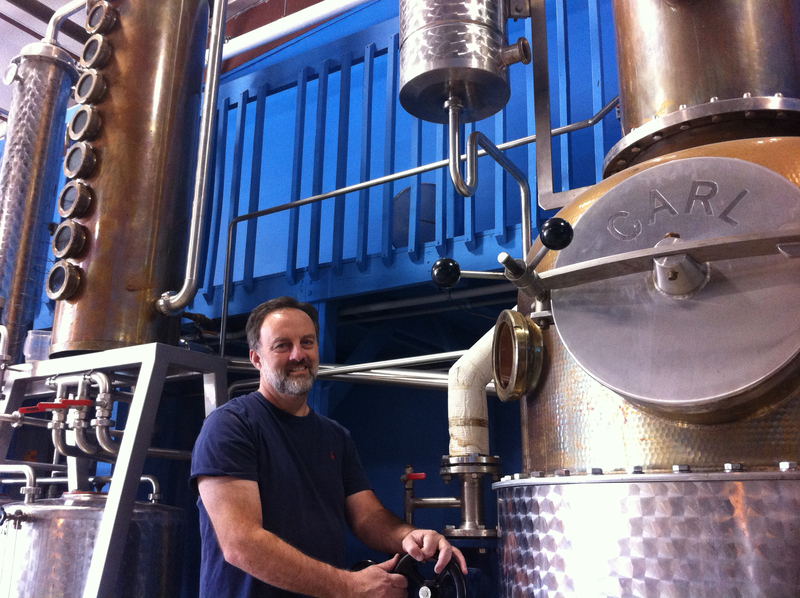 Stay tuned for our next entry in this series “What Tasters Seek from Barrel” to be released later this week. Any questions on the character of the vintage, please contact me at panos@wine-chronicles.com. We’re Opening in Town & Country, Missouri! 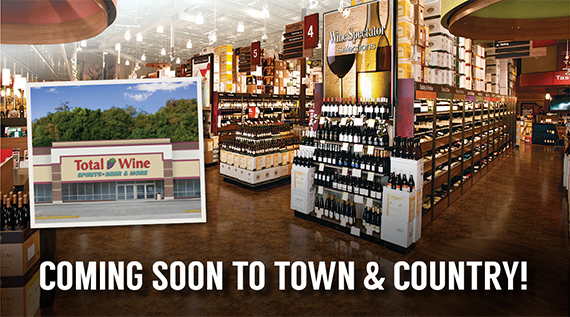 Total Wine & More is overjoyed to open our very first store in Missouri! Our 119th store in the nation is at 13887 Manchester Road in Manchester Meadows — join us for our weekend of Grand Opening festivities starting Thursday, September 3 at 4 p.m. Click here to see more about our newest store and all of the Grand Opening activities. We’re excited to finally set up shop in the state of Missouri, and we can’t wait to get involved and start giving back to the Town & Country community. We’ve got a lot to celebrate, and already have a wonderful partner in the local community to support. Stop by the store September 3-6 for Grand Opening events and join us in supporting the St. Louis Area Foodbank! Total Wine & More will donate a portion of our Grand Opening weekend sales to benefit this local charity partner. We want to see everyone stop in and join us for our Grand Opening tastings and events, which start at 4 p.m. September 3, featuring Caymus, Chateau Ste. Michelle, The Calling, 4 Hands Brewing, Schlafly and Pinckney Bend Distillery. We’ll also have bottle-engraving events with Gentleman Jack, Jack Daniel’s Single Barrel and Woodford Reserve. Plus live music, giveaways and more!